The core business of 1Source Safety and Health Inc. is safety and health management and consulting for educational, insurance, commercial, residential, research, healthcare, energy, transportation, and manufacturing facilities. Our goal is to provide a broad range of services. We strive to be the 1Source for our clients when they are looking for sound business solutions for safety and health issues and concerns. 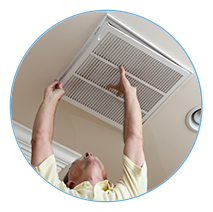 Our professionals provide clients with consulting expertise in the areas of mold, moisture, and indoor air quality. Our team can provide you with noise assessments and odor investigations. 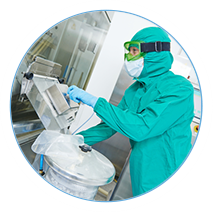 Furthermore, 1Source Safety and Health can provide assistance in the development of plans for environmental diseases, such as Legionella and Legionnaire's disease, and LEEDs testing. 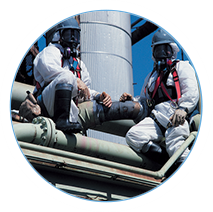 1Source Safety and Health provides a well-rounded team in all aspects of asbestos management. Our Certified Industrial Hygienists (CIH) and certified and licensed and accredited building inspectors come equipped with strong technical knowledge of the regulatory requirements as well as exceptional asbestos management and lead safety practice and knowledge. Moreover, 1Source conducts NESHAP surveys as required by EPA for building renovations and demolition. We are the leading experts in hazard identification, industrial hygiene, and construction safety, as well as OSHA regulations and OSHA VPP programs. Our certified professionals can assist you with safety programs, such as safe patient handling and ergonomics, as well as policy and program development and implementation. 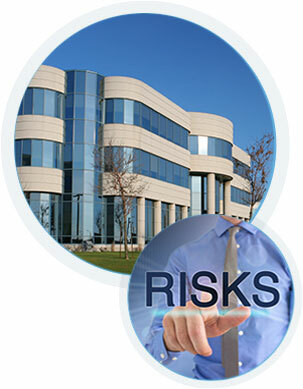 Furthermore, 1Source Safety and Health can assist your business with OSHA compliance audits and workers' compensation. Onsite safety management at construction sites has been recognized as an important factor in reducing injuries, illness and fatalities. Let the professionals at 1Source provide you onsite daily oversight, safety meetings, audits and more. Additionally, our certified staff provides consulting during the design and planning phases of projects, along with reviews of contractor's safety manuals. 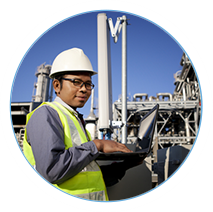 Keep your employees, and your construction site, safe with the 1Source expertise. Our staff has performed thousands of occupational health and industrial hygiene surveys for clients in a variety of settings. 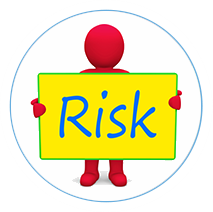 Our goal is to help our clients develop and implement programs to identify potentially hazardous exposures. 1Source Safety and Health is proud to offer SMARTouch Industrial Hygiene software. SMARTouch was specifically designed around data collection during industrial hygiene surveys. Say goodbye to collecting field data on paper, and say hello to a revolutionary new way to record, organize, and interpret your data. Additionally, we have seasoned professionals that serve as expert witnesses in the areas of mold, indoor air quality, building related diseases, ergonomics, slip/trips/and falls, product liability, chemical exposure, OSHA compliance and more. The use of drones and drone technology has expanded rapidly over the past 5 years. As such, application of drones has increased at a faster pace. The drones used by 1Source employ the latest technology and our pilot is licensed through the FAA. One key measure of our success is that 1Source is the largest pure safety and health consulting firm with the most certified staff on the east coast. This is primarily the direct result of our "commitment to the client philosophy" and the diversity of experience and expertise of our team. For more than 35 years, the professionals at 1Source have been committed to developing long-term, mutually beneficial professional relationships with our clients and business partners. As the name indicates, 1Source Safety and Health, Inc. is focused on helping clients with emergency and non-emergency safety and health issues as related to buildings and occupants. Our consulting and management services are managed by our four founding partners. The breadth of services provided by 1Source far exceeds those of most similar consulting firms. This base of experience provides us with extremely broad knowledge and expertise in a wide range of safety and health issues. As a group, we have a thorough understanding of all aspects of the business, including technical, management, financial and marketing. While there are regulatory components in all of our services, the primary focus is to improve financial performance and reduced liabilities of our clients rather than compliance only. 1Source Safety and Health, Inc. is a verified vendor by meeting the criteria set forth by AVETTA and ISN through their Review and Verification Service (RAVS), and large corporations that use ISNetworld for vendor verification. This verification process assures our clients that 1Source maintains a high level of safety and health conformance both on and off of our clients' facilities. 4/16/2019 - Hexavalent Chromium -- Today I would like to share some information on Hexavalent Chromium and how to prevent exposure to this carcinogen.